For homeschooling families, the lines between preschool and kindergarten readiness can be a little blurred. Sometimes it can be tough to know if your child is ready to start kindergarten. Sure, there’s the age requirement that public schools have to use as a guide, but how do you really know when they are ready for kindergarten? The freedom that homeschooling brings can go several ways–start them early, start them on time, or start them late. The answer to the question about when to start homeschool kindergarten is ultimately an individual choice based on each child’s readiness. So, how do you know when to start their homeschool journey? If you’re on the fence, here are some things to think about to help you decide. 1. Age: The typical age for starting kindergarten is five years old. However, you don’t have to start then. Some of you might be tempted to start earlier, but others might need to start later. I encourage you to research the age requirements for your area as a starting point for this decision. Typically, children need to start by six years old. 2. Maturity: Can your child sit for small periods of time to attend to tasks? While I’m a big fan of letting children have freedom to move during their learning, there are times that children will have to sit to accomplish tasks–for example, writing. Kindergarten children should not be expected to sit all day, but they will need to be able to focus on short lessons. For our youngest son this was not a task he could do, so we started him late. While he was ready academically, we knew he couldn’t sit still and concentrate enough for short lessons. We also compared his maturity to his peer group and realized he just wasn’t ready. Giving him the extra year allowed time for him to mature and be able to sit for longer periods of time for adult-directed tasks. 3. Knowledge of Basic Skills: There are a lots of things kindergarten children should be able to do before entering kindergarten, but they should at least have a few basic skills. Some letter knowledge: As a former kindergarten teacher, I don’t think that every child should know all of their letters and letter sounds before starting kindergarten, but it is helpful if they know some of them. Identifying and matching uppercase and lowercase letters is another skill that falls into this category. Basic counting skills: Kindergarten age children should be able to count to at least 20 without skipping numbers–even better if they can count the number of objects when given a number up to 20. Identifying and writing the letters in their name: While it doesn’t have to be perfect, children should be able to form the letters in their name. While it is best if children know that the beginning letter should be a capital letter and the rest of the letters in their name lowercase letters, any form of writing their name is acceptable. It doesn’t have to be perfect, but they should be able to do this. For a more in-depth list of things your child should know and be able to do see my list of 100 Things Kids Should Know Before Entering Kindergarten. 4. Look to the future: Another thing to consider when starting a child in kindergarten is what age they will be when they graduate. 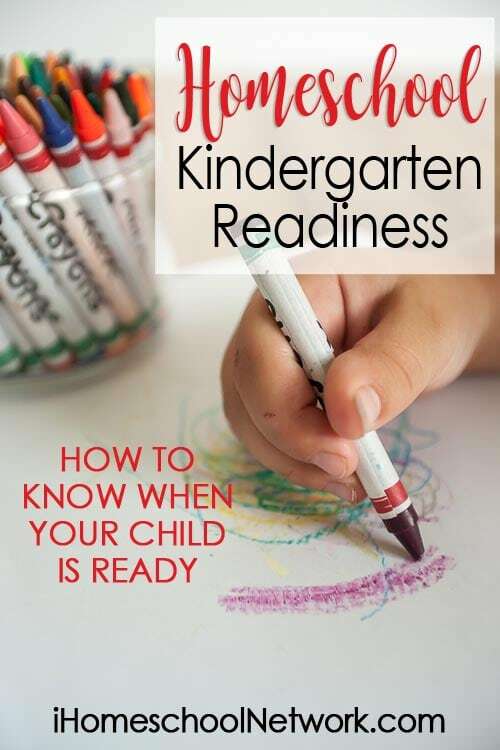 While it may sound silly to even be thinking about high school graduation or college when you are thinking about kindergarten, this can play a major role in whether or not to start a child in kindergarten. For example, if you started your child in kindergarten when they are four years old, they would start their senior year as a 16-year-old–when they just got their license. If they start kindergarten at 5 years old, they will start their senior year when they are 17. If they start kindergarten when they are 6, they will begin their senior year when they are 18. Obviously, a lot can happen between kindergarten and their senior year, but this is something you might want to consider when making your decision. At some point, your child is going to go into some peer-based education (college), starting too early could put them at a disadvantage when this happens. A kindergartner that starts at age 4 and follows the normal yearly progression will be ready to enroll in college at 17 years old. This is a very personal decision that must be made individually, but this is something to think about. Would you be ready to send your 17-year-old off to college? Closing thoughts: You know your child best. I have a feeling that deep down you already know the answer to whether or not to start your child in kindergarten. Follow your instincts and don’t listen to the opinions of everyone around you–because there are plenty of people ready to tell you what to do. If you decide to start your child early, know that you can always repeat kindergarten, or even shelve it for a time, if you get halfway through the year and realize they need more time to be ready. Each child’s journey will look different and there isn’t a hard and fast rule when it comes to kindergarten readiness. Make a decision and go with the flow knowing you can always make adjustments if needed.